Ultra Light & Catayst Free! The main port and actuator diaphram are kept seperate. 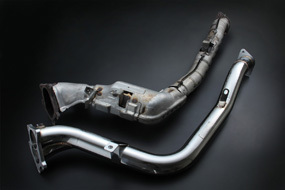 This will allow a smoother exhaust flow. 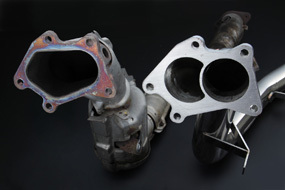 The main pipe is Φ70.0mm which then tapers to a Φ60.5mm so you can use the stock gasket and muffler. 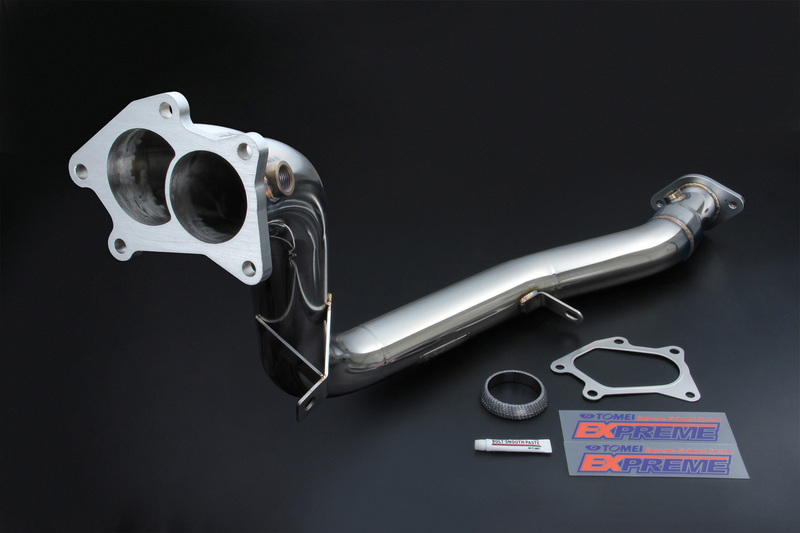 We also have a special Titanium muffler system for this car. 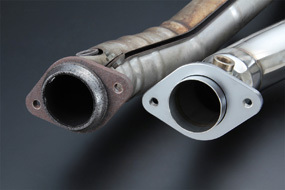 The enlarged pipe diameter significantly reduces the exhaust resistance with the elimination of the catalyst. This also enhances the cars handling. Copyright (C) 2005 TOMEI POWERD,Inc. All Rights Reserved.